This guide covers the evacuation action timeline from the occurrence of Nankai Trough Earthquake until the tsunami subsides which generally lasts for a dozen to 24 hours. 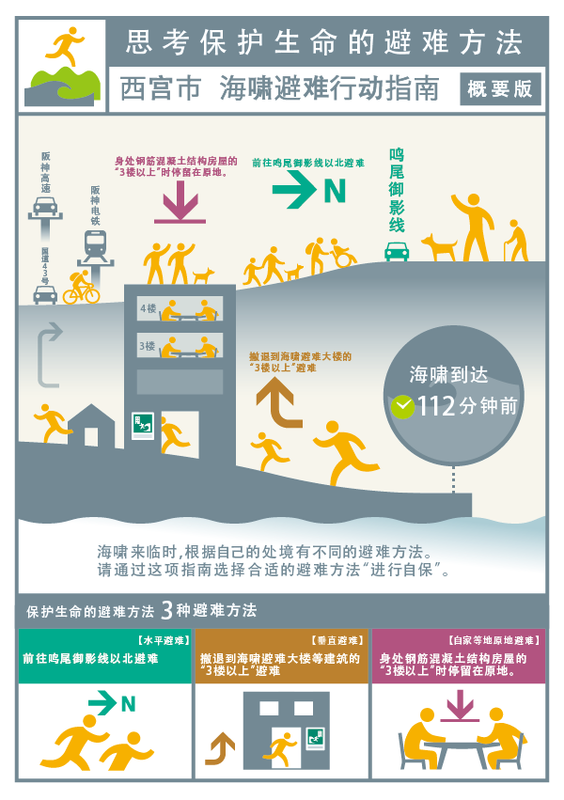 Through this guide and drills, please think about the place of your residence and workplace, the situation you are in and what is the most suitable way to evacuate. 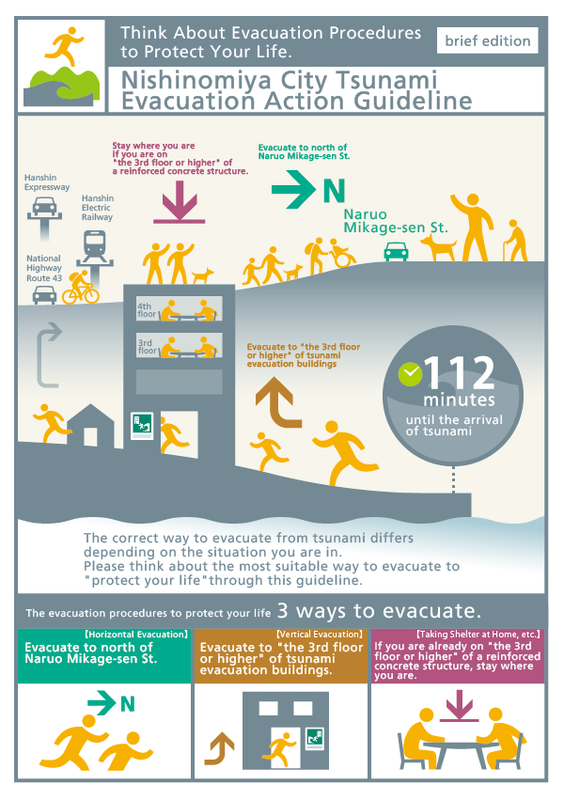 Please make the tsunami evacuation plan that fits you the most. 이 지침은 난카이트로프지진 발생으로부터 쓰나미가 종식될 때까지 약 십수시간~1일 정도 사이에 행할 수 있는 대피행동을 대상으로 한 것입니다. 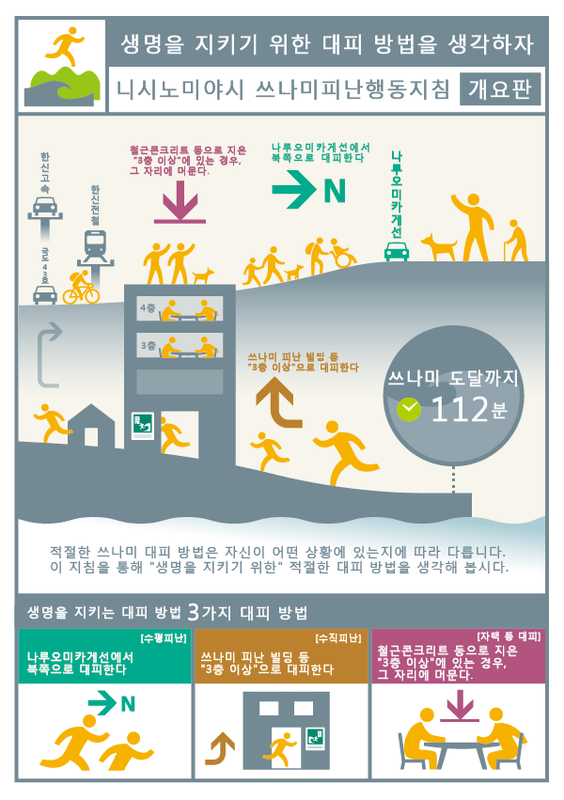 이 지침이나 훈련 등을 통해 거주지, 근무지, 자신이 놓여진 상황 등에 적합한 쓰나미 대피에 대해 생각하고 스스로에게 최적한 쓰나미 대피계획을 작성합니다.